Are you ready for another cute hat? They are so fun to design and wear! 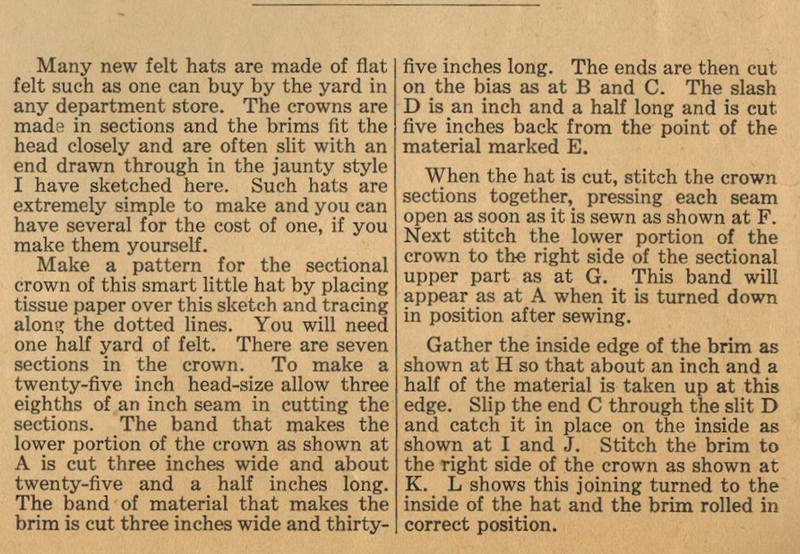 The hat in this tip from Ruth Wyeth Spears provides instructions for sewing a calot-style cloche. The brim is turned back and has a wonderful double "slip through the slot" wing accents. Delightful! 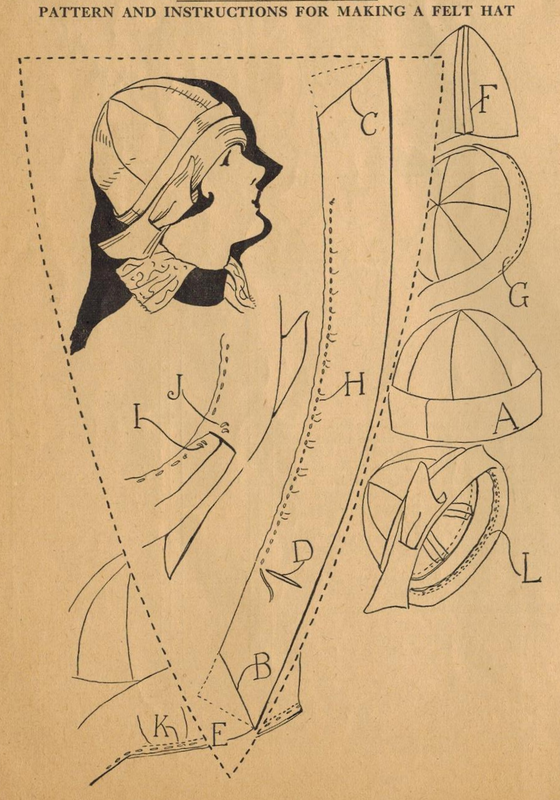 As usual, click the image with template and print it out to use as your template for sewing this hat, per Ruth's instructions. Happy sewing!